​Our teachers are committed to introducing your children to the culture of worship and biblical instruction and to preparing them for a lifestyle of knowing God and making Him known. In preschool through elementary grades, we begin by worshiping God together as a large group before separating for a time of study. Our four-year olds through elementary-aged children use the “Show me Jesus” curriculum from Great Commission Publications, focusing on God’s unfolding story of salvation from Genesis to revelation. Children learn that they belong to Jesus because of God’s great love in salvation, and that He is the God who keeps his promises faithfully to his people. God’s covenant of grace is a key thread tying the scriptures together. Through the study and memorization of scripture and the catechism, our children learn the tenets of the Christian faith from creation to Jesus’ second coming. By doing this, we establish our children’s faith and equip them to defend it. Our Nursery for infants and toddlers is far more than a babysitting service. 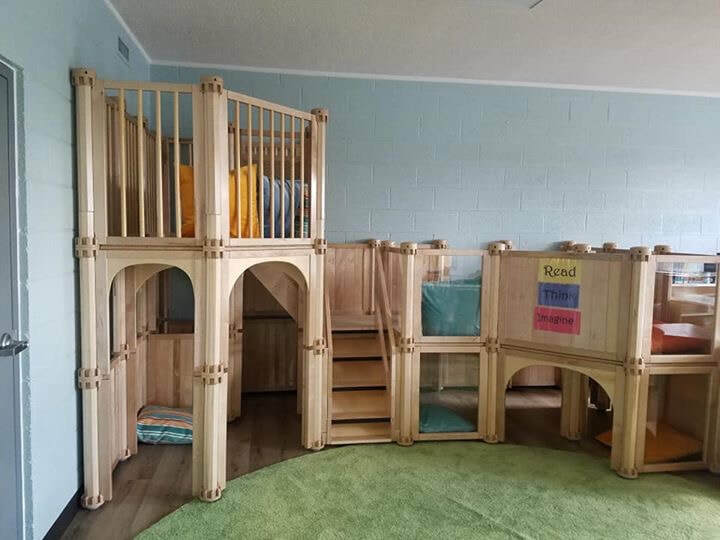 The volunteers that serve in the Nursery wish to introduce your children to the culture of worship and Biblical instruction, and to prepare them for a lifestyle of knowing God and making Him known. For children under two years old, this is done primarily through stories, teachable moments, and interactions that communicate God's love for them. Our two- and three-year olds learn how much God cares for them through the “God Loves Me” curriculum. Each week they are introduced to God through the lives of Biblical characters (Abraham, David, Jesus, Paul, etc.) with a Bible story, songs, and a craft or activity to bring the story to life. The Atonement Babies & Tots Club (ABC) meets twice a month in our new and improved baby nursery for time to play, sing Bible songs, share ideas, chat and build friendships, and possibly even create a craft! ABC meets the first and third Thursday of each month during the school year, from 10 to 11:30 am. Join us for a laid-back time of fellowship for babies, preschoolers, and caretakers – primarily moms (though dads and grandparents have been known to join us, and any caretakers are more than welcome to attend with wee ones). Let’s raise children and families who will grow up loving Jesus and knowing Atonement as a place of love, support, and family. For more information contact Dawn Molloy at [email protected] or 301-649-4131. THINK SUMMER and mark your calendars. Family Bible Camp is for the WHOLE family! Join us from Sunday, June 23 through Wednesday, June 26, 2019 as we travel to Athens for a Holy Land Adventure! More information coming soon. How many books can be checked out at a time? 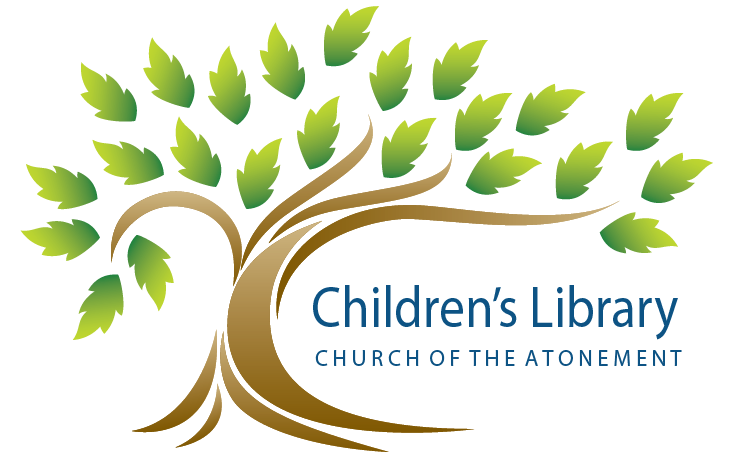 Atonement children may borrow up to 3 books at a time. Guests may borrow 1 book at a time. (Please fill out a contact form.) This allows all Atonement children and guests the opportunity to check out books. How long can I keep my borrowed books? Books can be checked out from the library for 1 week. If you need more time, please ask our librarians to extend your time. When is the library open? The library is staffed Sundays from 8:30-9:20am and 12-12:30 pm, and the 1st & 3rd Thursdays of each month from 9:30-11:30 am. Atonement families can visit the library at any time. Please sign in on the clipboard at the library checkout counter so that we have a record of library usage. Office staff can let you into the building Monday-Friday, 11am - 4:30pm. Please ring the doorbell at the main entrance (lower narthex) to be buzzed in. Church of Atonement’s monthly newsletter for families.